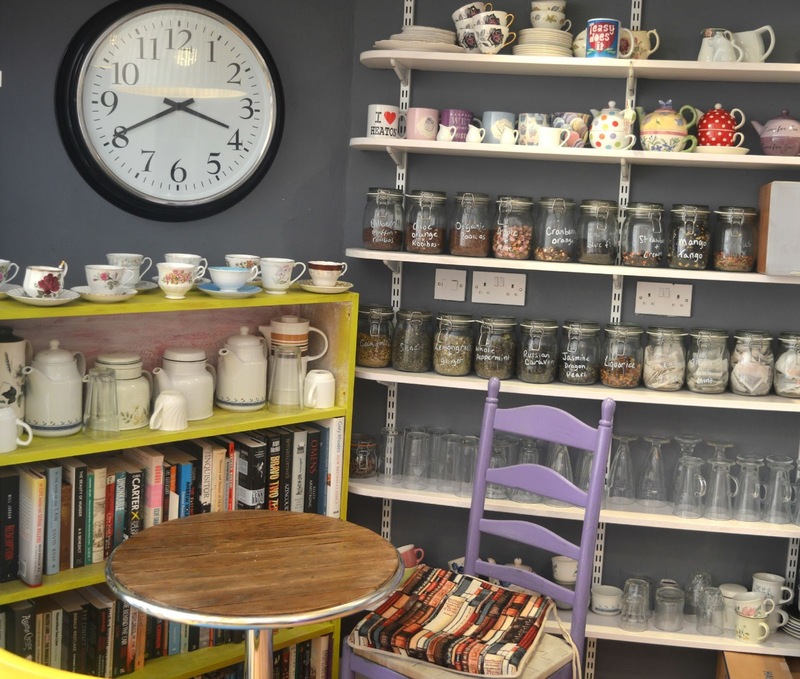 I do love a tea shop with a clever play on words so it was inevitable that Teasy Does It in Newcastle's trendiest suburb of Heaton was going to have my heart before I'd even walked through the door. What an amazing name for a tea room! Simon and I have been out and about exploring the wider area of Newcastle quite a bit recently and Heaton is fast becoming one of our favourite areas to wander. A few stops from Monument on the Metro or, if the day is nice, a good healthy stroll from the city centre, it's easy to get to and a nice break from the crowds of shoppers in the Toon. We arrived at Teasy Does It after a particularly stressful morning hiking round Ikea looking for more furniture for our new house. Feeling slightly tired and grumpy, cake was definitely needed and as we pushed open the door of the tea shop to friendly faces and a counter full of cakes the stresses of our day were instantly forgotten. If there's one thing that is always guaranteed to cheer me up it's choosing something to eat from a display of homemade treats. 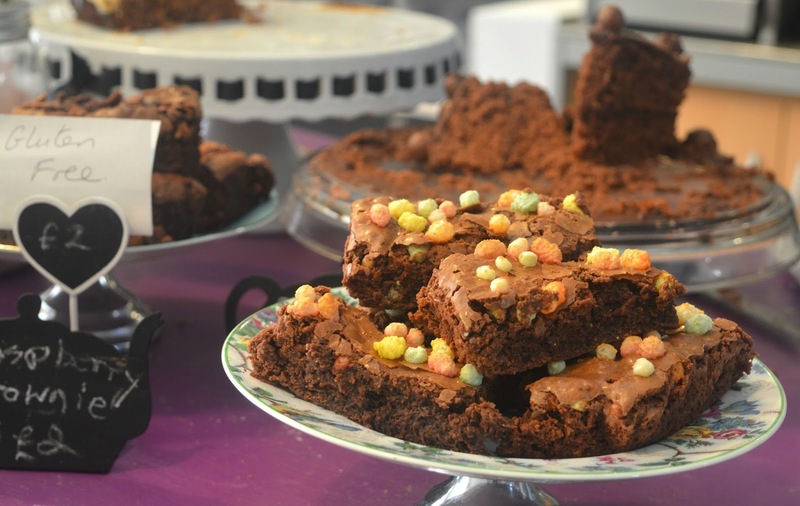 The counter had a little bit of everything but it was the indulgent brownies and generous slabs of cake that had our attention. After a lot of careful thought I decided on the Sticky Toffee Cake and was quick to tuck in. It was absolutely delicious, and not like anything I'd had before. The pudding/cake hybrid worked so well and I loved the addition of the dates. 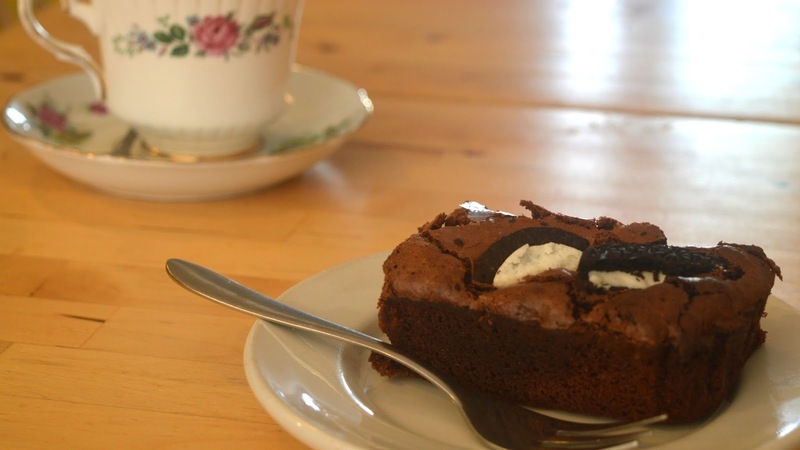 Simon is having a bit of a love affair with Oreos at the moment so decided to try the Oreo Brownie. I didn't manage to swipe any because I was too busy wolfing down my own cake but he finished it in record time so it was a definite thumbs up from him. There's a really impressive list of teas at Teasy Does It. Unfortunately we're always a little boring and predictable and just can't help ourselves ordering English Breakfast. 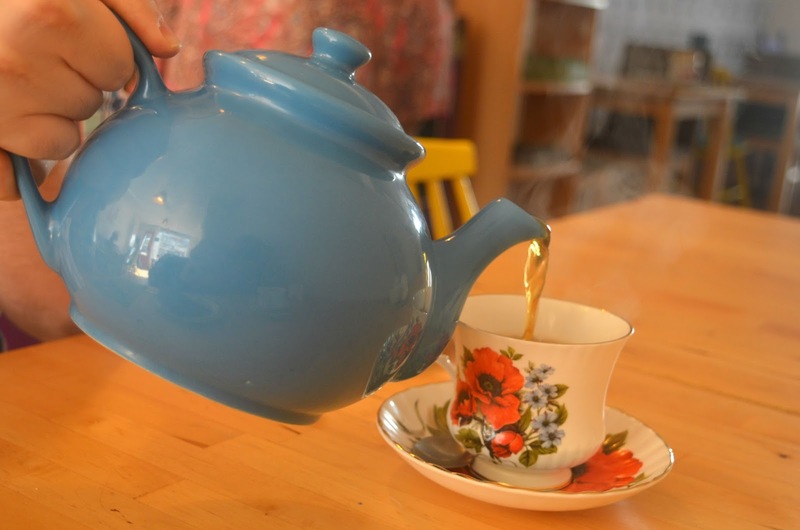 We had a beautiful blue tea pot to share that was absolutely huge and I could barely pick up! 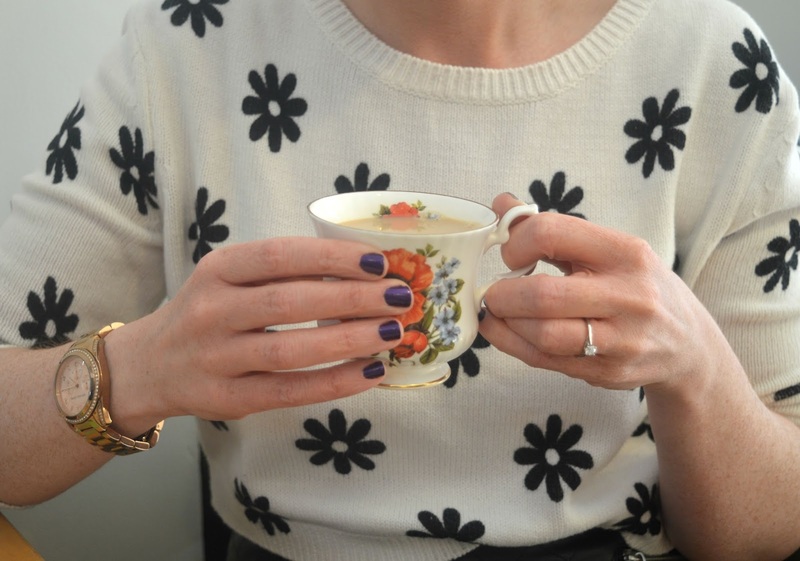 Arriving with mismatched crockery I was in my element pouring myself endless cuppas. Being a girl from the South I often heard rumours about how friendly the folks up North are and at Teasy Does It you can expect a proper Northern welcome. The ladies behind the counter are so lovely and within moments we felt like we were chatting with old friends. We completely lost track of time as we sat talking about our favourite local eateries, holidays and, of course, cupcakes! The ever plotting bride, I was excited to discover that you can also custom made cakes at Teasy. We're really eager to get a proper homemade cake at our wedding made by a local baker and there are some really beautiful and imaginative creations. 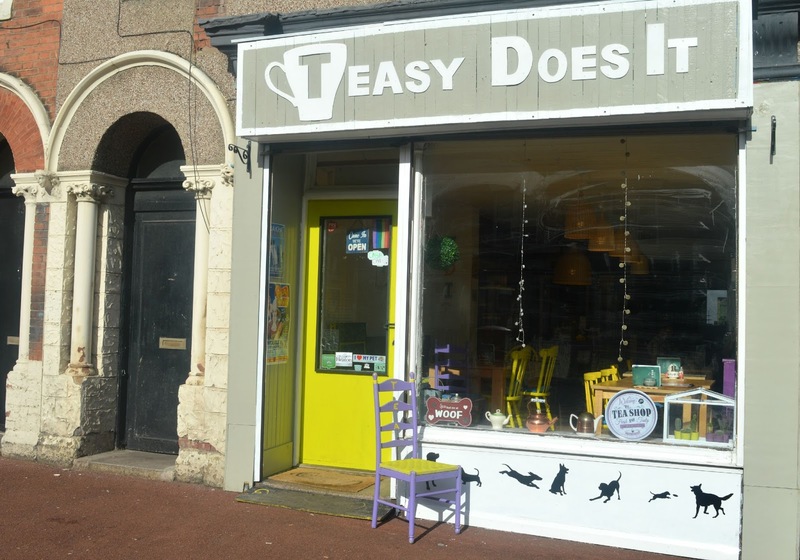 Teasy Does It is an absolute treasure and somewhere that we'll definitely be heading to again when we're in need of some delicious cake and friendly chat. What a beautiful looking little tea room... I need some of THAT in my life!!!!! 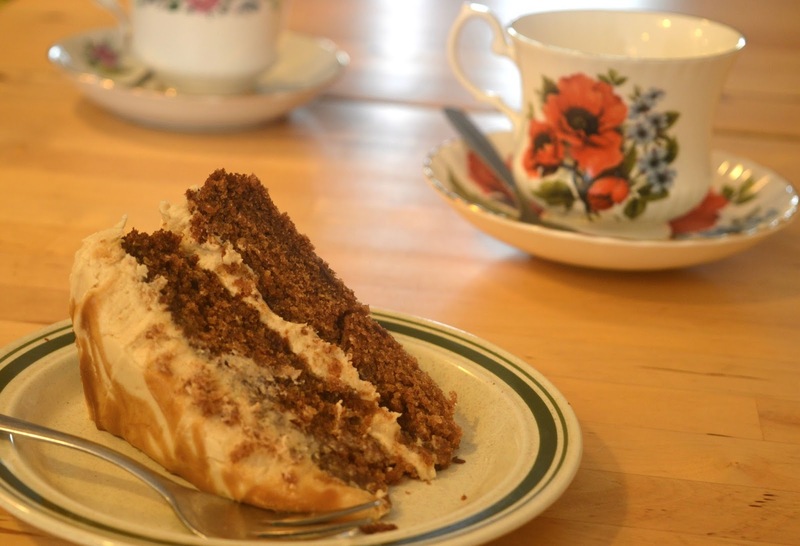 Will definitely be paying it a visit... tea and cake are essential in life after all! I love the mismatched china, so cute! Stressful yet some what addictive, we can't keep away! Another one for your next visit!